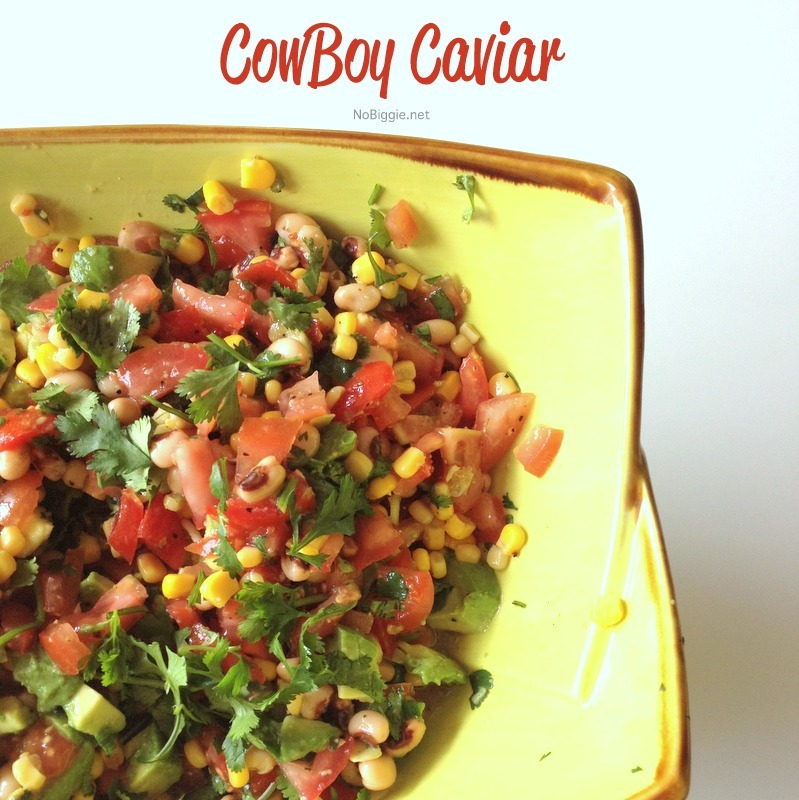 CowBoy Caviar also known as fresh corn salsa with black eyed peas and chunky avocado. Some call it Texas Caviar, we call it delicious! People go nuts for this stuff! Seriously, every time I bring it to a pot luck, people always comment and ask for the recipe. 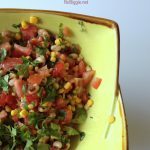 When fresh corn is in season, this stuff is a must make! This recipe could not be more easy, and the Italian Dressing Mix makes it even more easy. Just sprinkle it on and toss it all together. Served with chips, it's the whole kit and caboodle. 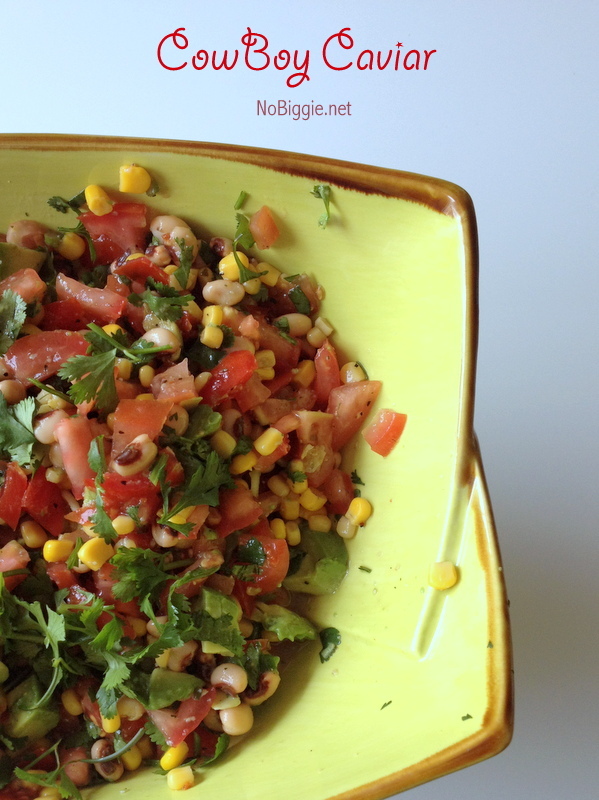 Do you have a favorite go-to fresh salsa recipe? Here’s a quick tip with avocados. I don’t know about you, but so often I would buy avocados and when I get home they are unripe and hard as a rock, so I leave them out on the counter at room temp to wait for them to get ripe. They would become ripe, and stay ripe for 0.2 seconds. Uggh! I would miss them at their peak and when I’d go to use them, they would already look bad. Never again! Here’s what to do: When you feel your avocados start to soften up a little…when you gently press on the skin they have a little give. Move them into the fridge! In the fridge, they will keep at their peak up to a week. Which is awesome! Now you have a little more of a window of time to use your delicious avocados, and you don’t have to throw them out anymore. YAY! As for the corn in this recipe, I would either use frozen corn or fresh corn, but not canned corn. If fresh corn is not in season, frozen corn is your next best option. 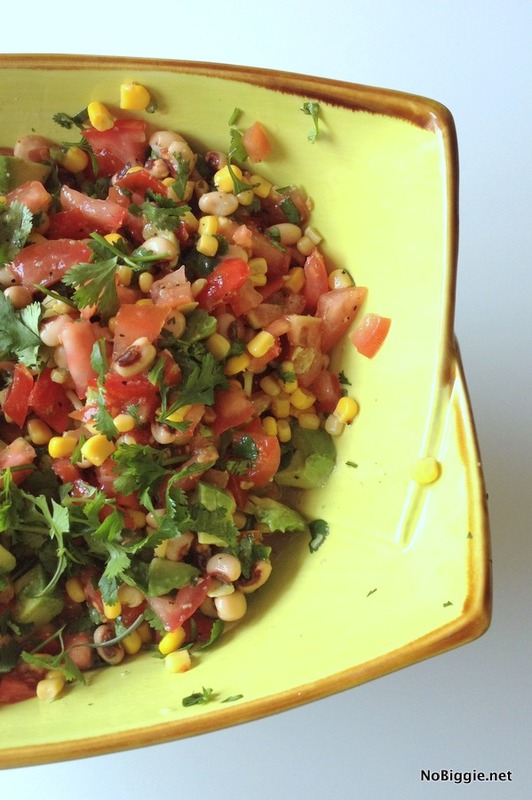 Frozen corn is so great to always keep on hand in your freezer, especially for this recipe.